William Ashford, who for many years was an apothecary and general practitioner at Ballsbridge, and died at his residence, No. 1 Serpentine Avenue, on 15th July, 1892, in his 80th year. 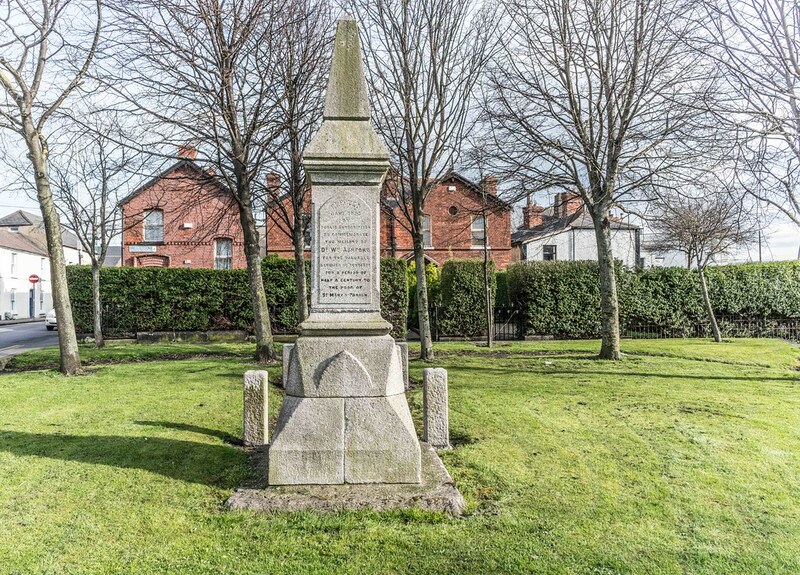 A pillar memorial to him was erected at Irishtown in 1893, commemoration of his services for half a century to the poor of the parish. His grandfather was William Ashford [1746 -1824] the well known English landscape painter who worked exclusively in Ireland. Ashford the artist was born in Birmingham, England in 1746. 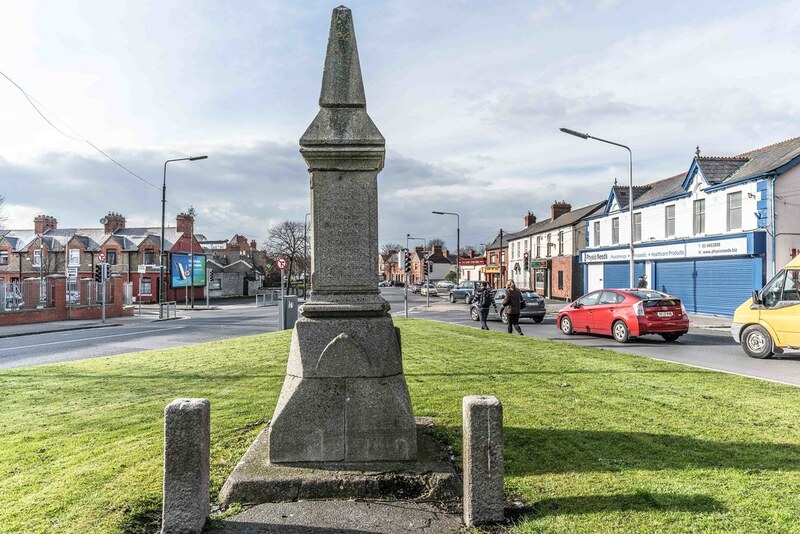 He moved to Dublin, Ireland, in 1764 at the age of eighteen after having obtained an appointment in the Ordnance Office through the interest of the Surveyor-General, Ralph Ward. His job, at least in the early years, consisted of checking on the armaments stored at forts and barracks across Ireland. It is not known where he learned his art. Within three years of his arrival, Ashford was exhibiting with the Society of Artists on William Street. At first, he was an amateur painter specialising in flower paintings and still life, but in 1772 he exhibited his first landscape at the Dublin Royal Society of Arts. He turned professional soon after. After the death of his rival Thomas Roberts he became the most prominent landscape painter in Ireland for the next thirty years. He was elected President of the Irish Society of Artists in 1813, was a founding member of the Royal Hibernian Academy, becoming its first elected President in 1823. He also exhibited in England, at The Royal Academy in London from 1775 and with the Society of Artists from 1777. Despite becoming a fellow of the Society the next year, Ashford only exhibited there sporadically, works shown there including a set of views of North Wales. From 1806 he showed at the newly-established British Institution. Some of his pieces seen there had been painted some years earlier, including some subject pictures showing scenes from Shakespeare. At the beginning of the 19th century – probably between 1804 and 1806 – he painted a set of landscapes in and around Mount Merrion for Lord Fitzwilliam. It was near this time that he completed his Marino Casino, one of his finest works. The Fitzwilliam commission was the last major one he received, although he continued to paint, and held an exhibition of his works in the board room of the Dublin Society's premises in 1819. Ashford was among the most respected landscape painters of Ireland in his time, on par with Thomas Roberts and George Barret. The architect, James Gandon, designed his home in Sandymount, County Dublin.